If you are looking for a new or ongoing event that will absolutely test your resolve and might even become a sea of change for you as it was for professional racer and Sports Techie inspiration, Brad Fredericks, Spartan Race might be it. Watch this video about Brad by Film The Athlete: http://blog.spartanrace.com/film-the-athlete-brad-fredricks/. Sports Techie is excited to have the opportunity to provide a free entry giveaway to someone in our community for any 2013 Spartan Race. The Rafflecopter requirements to enter are slack and not mandatory. One event goal was to make adventure racing more accessible to everyone. Spartan Race has three levels of courses: 3 mile Sprint, 8 mile Super and 10 – 12 mile Beast. Participants will run, jump and shimmy your way over a dozen or more challenging obstacles and mud. Courses are uniquely designed to test your mental and emotional fitness and push you past Sports Techie limits. Stadiums are packed with premier sports technology and Reebok Spartan Race is geared up to tour some of the country’s greatest ballparks in 2013. After the competitive race at Fenway last year and Citi Field NY on April 13th, Spartan Race has created one-of-a-kind Sprints around Miller Field, Citizens Bank Park, and once again at Fenway Park. Spartan Race founder, Joe De Sena, is traveling around the country giving out free Spartan Workouts at local gyms and facilities. You can sign up for the workout and also a free ebook, You’ll Know at the Finish Line, by Spartan Race founders Joe Desena and Andy Weinberg, at the web site. They outline the Spartan training philosophy, inspired by the courage and discipline of the Ancient Spartiates and dedicated to functional exercise, which requires neither equipment nor gym membership – just a body, a will, and the great outdoors. Loaded with comprehensive workout strategies and heartfelt personal testimonies from Spartan Legends like Hobie Call and Lisa Demetriou, You’ll Know at the Finish Line blazes the definitive trail for the long-lost sport of obstacle racing. Sports Techie supports the Spartan Race mission to get you active, healthy, excited about change, and return to our ancient roots where running through woods, getting dirty, and facing adversity was part of everyday life. If you have entered the race, pictures and video clip recordings of your racing adventure can be filmed by your support team’s smartphones and cameras, or via a GoPro type recording device strapped to your head or body. Find results and photos at the 2013 Race Results page. Photos can take up to 7 days since over 100,000 photos are shot a race. Results are definitely posted sooner. For 2013, they changed their photo method, so on the Results page, to see your photos, search for your name or bib #, click on your name and you will see a “Race Photos” tab appear. If you do not have photos under your name, click to try the Timeline here: http://pages.spartanrace.com/timeline.php. The Washington State Spartan Race SPRINT is at the Washougal MX Park. Sports Techie, Race as an individual, as a part of a team or both at Spartan Race. Whatever your level, Spartan Race promises to test your strength, stamina, and sense of humor. I was born a Spartan. These events are both family and kid friendly. My brothers and I were born at the hospital near our home in Spartan Village, East Lansing Michigan, while my Dad attended Michigan State University and worked at the Athletic department. Needless to say, I bleed Spartan, my newborn baby son Kellan does too, and so will you after finishing the race. Enter our complimentary Rafflecopter giveaway via the link below and you could win the free Spartan Race entry. Enter daily until July 30th at 12AM. The Washington State Spartan Race SPRINT is at the Washougal MX Park. 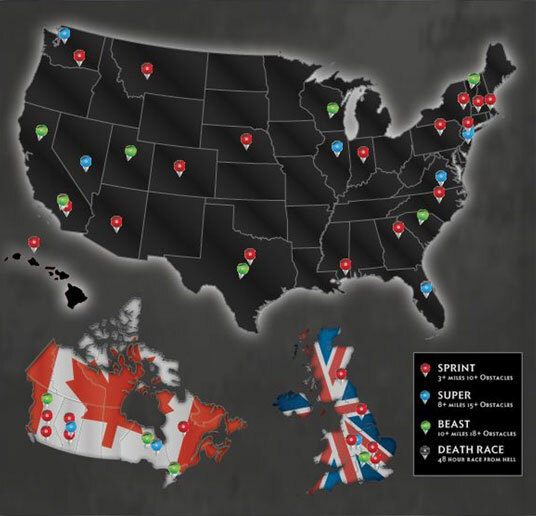 Whether you are at a Spartan Race in California, Virginia, and Philadelphia or Chicago, Milwaukee and Nebraska, or while vacationing in Hawaii, or anywhere else they are at in the United States, Canada or the UK, enjoy the experience and be sure to share any digital evidence with us on any of our social media network links below. I am a Spartan Race rookie. Never participated before, but eager to do so. I’m a rookie! Hope to win!